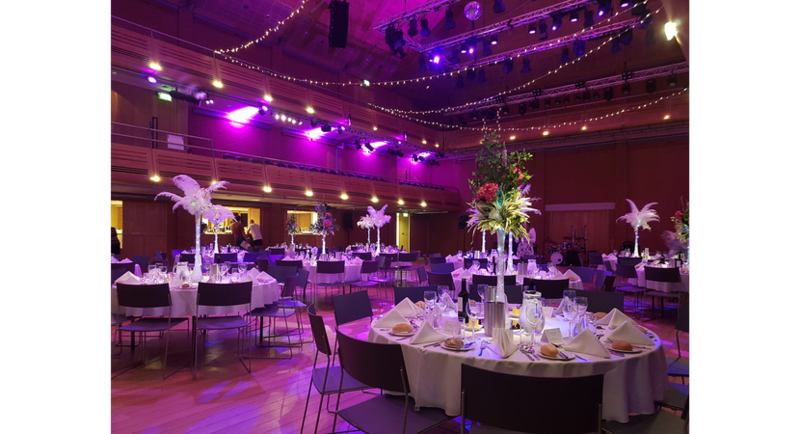 The Apex and associated spaces can be hired for a wide range of events, from private parties and weddings, to corporate receptions and conferences. Whatever the occasion, we provide a wide range of unique settings for a memorable occasion. 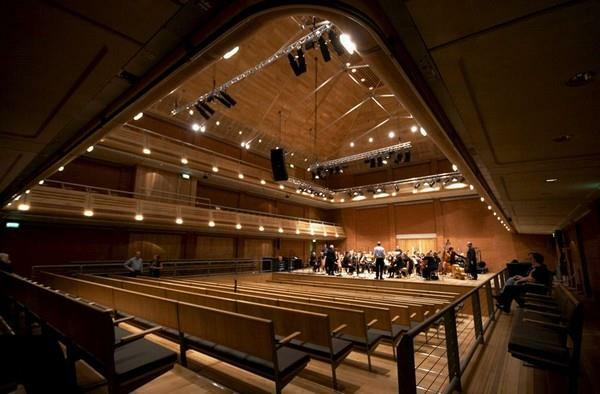 The main Auditorium is an extremely flexible and versatile space which can be adapted to suit all requirements. Its unique and innovative seating and flooring can be configured in a variety of ways to suit all events including conferences, product launches, meetings, fashion shows and exhibitions. 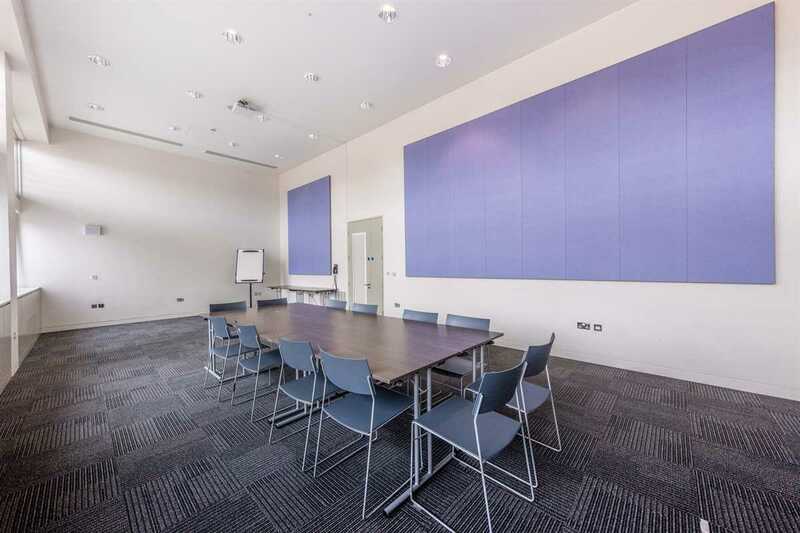 In addition to the Auditorium, The Apex has three studios ideally equipped for smaller meetings, conferences, rehearsals and for break out areas. 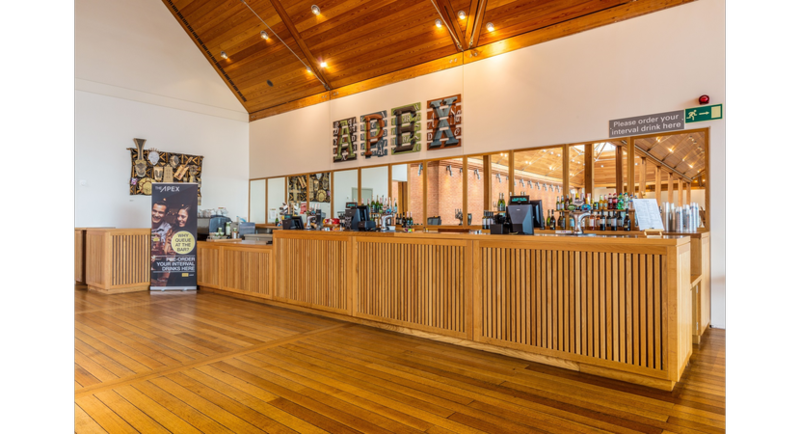 Alongside this, our comfortable café/bar area can also be hired and provides an ideal space for additional break-out facilities, parties and informal meetings. 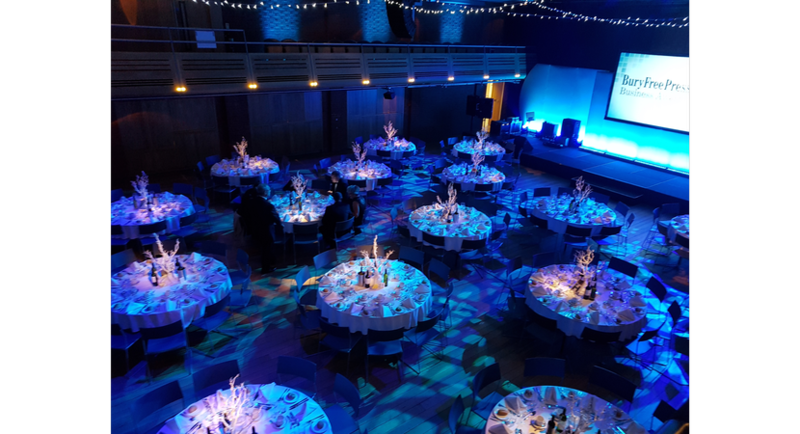 Technical support and equipment including flipcharts, laptops, projectors, microphones, PA equipment, lighting, staging, drapes and a lectern are all available. The Apex also provides a comprehensive selection of catering options, courtesy of Sodexo Prestige, to suit all requirements. 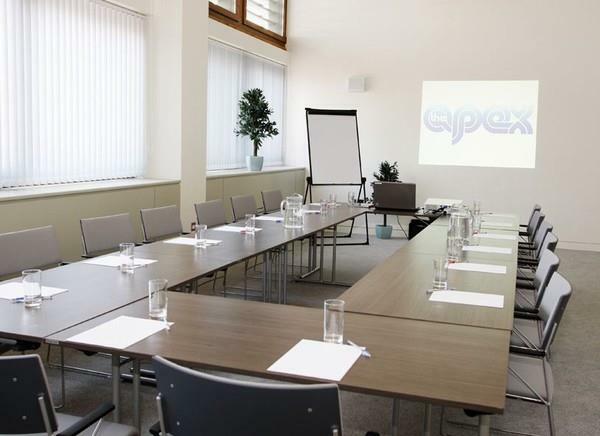 If you are looking to hold a meeting or conference, whether it's for 10 or 500 people, then The Apex can accommodate your needs. Sodexo Prestige can offer you the finest dining experience from a buffet to a sit down dinner. The unique modern environment of The Apex Auditorium provides the perfect backdrop for a stunning wedding for up to 260 guests. Alternatively, the first floor Lounge is an idyllic setting for smaller, more intimate receptions. Whichever you choose, you will have exclusive use of the space. With on-site catering and a range of packages from £27.00 + VAT per head available, your day will always be as individual as you are, so we are more than happy to discuss bespoke options with you. 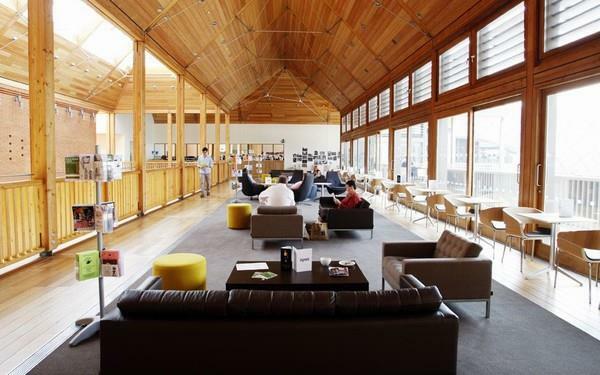 The first floor Lounge is a bright and airy space with an internal balcony overlooking the ground floor foyer and an external balcony for those long, hot, summer evenings. 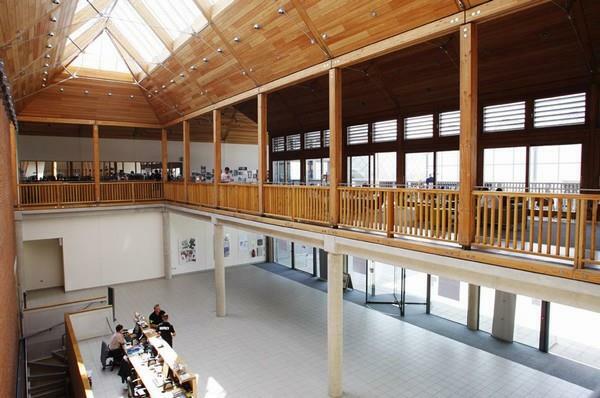 It offers the perfect space for receptions, parties and exhibitions, and it regularly plays host to a variety of business networking events. Click here to view the virtual tour of this room via RICOH THETA. The high-tech Auditorium offers some of the best facilities in the region, with sound and lighting options far outweighing its competitors. 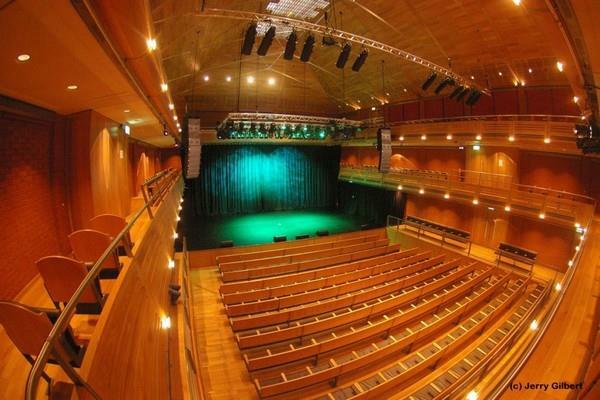 Its flexible layout means it can seat 516 delegates in a formal, tiered theatre, or 260 delegates in a cabaret configuration on the flat floor. 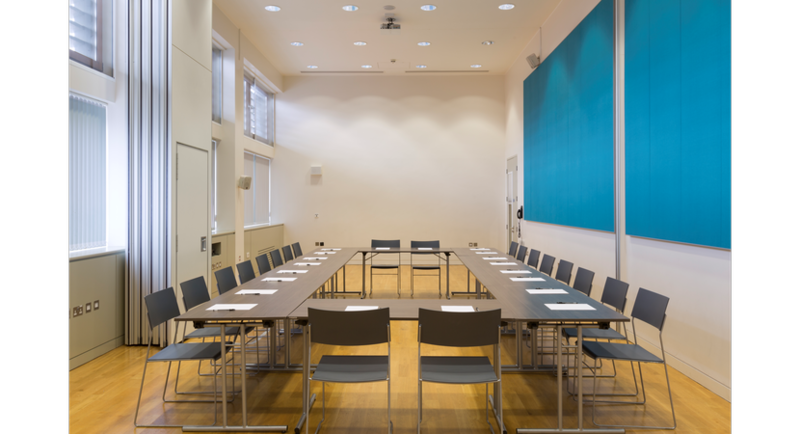 This medium size room can accommodate meetings and conferences from 2 to a maximum of 60 guests with standard audio visual equipment already installed. Small meeting room suitable for up to 30 guests. Small meeting room suitable for up to 30 guests. The audio visual equipment is already installed in this room. 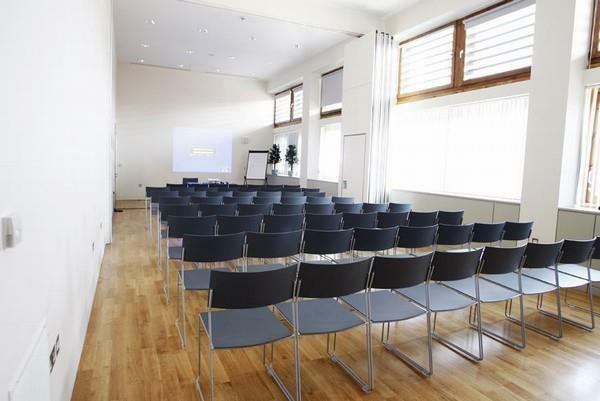 Large and spacious meeting room with wooden floor and natural day light. 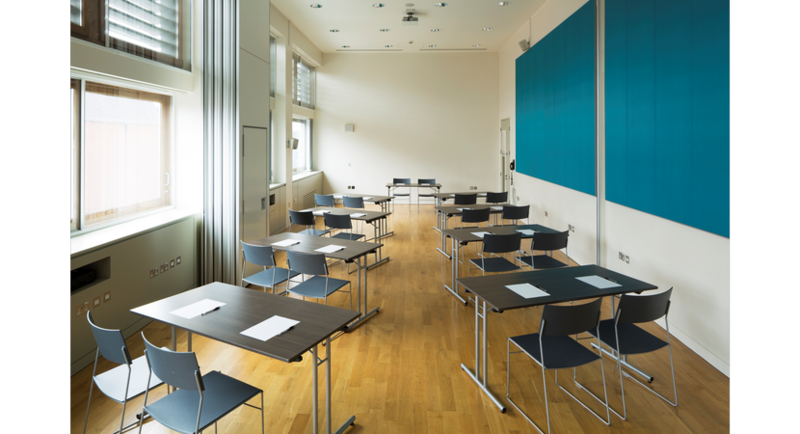 Audio visual equipment is already installed in this room to make it easier for you.